Add the eggs, flour and mashed bananas and beat until combined. 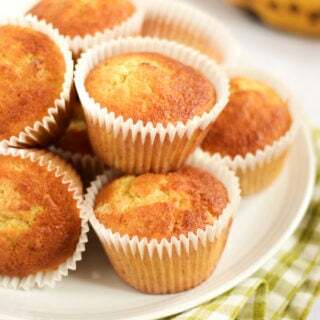 Scoop the banana muffins into 12 cupcake liners in a muffin tray. Bake for 20 minutes until golden and springy.